My experience in the course of Global Business in a Dynamic Environment at the University of Kent. A few days ago I lived one of the best experiences of my life at Canterbury, specifically at the Kent University, where I went to conduct a global business course. 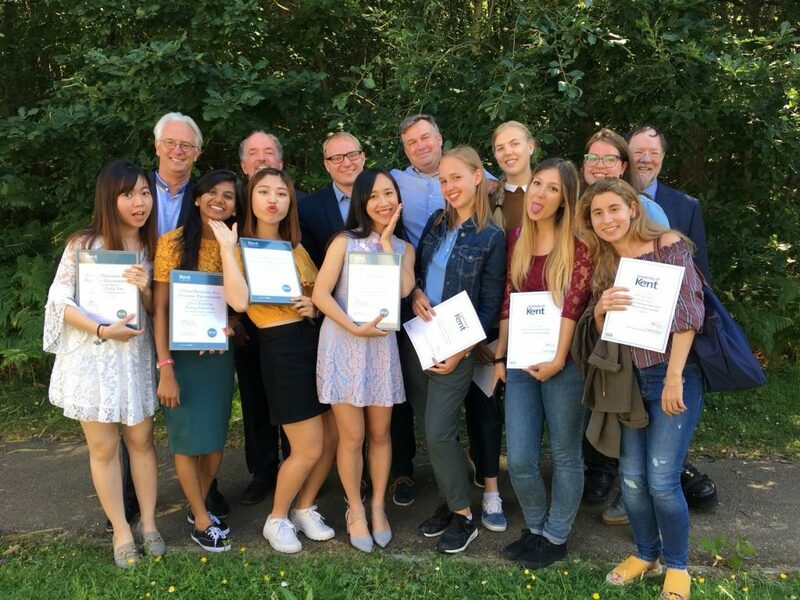 During the first fortnight of July I was able to enjoy an incredible experience that allowed me to meet wonderful people from all over the world and learn about the world of international business thanks to expert professors in this field. I had some teachers who strove day after day to offer us the best in each class with particular cases where we could learn from each other and learn very interesting knowledge on this subject. At all times they created a good atmosphere where we could all participate and learn in groups. During my stay I was able to enjoy trips to London, Whishtable and Canterbury, a wonderful city very dynamic and charming. There we toured the streets to make different plans, like riding a boat, see the cathedral, watching football games, shopping and many more things. The people I met there were lovely and very friendly at all times with the other students. Thanks to this experience I have been able to learn to express myself and know more about the business world, thanks to the knowledge and help of the professors. I have also been able to make an editorial, which before beginning this course believed impossible to realize. Without a doubt, this experience has helped me to meet wonderful people and to enjoy and know many places. One of the excursions I enjoyed the most was when we visited the British Museum in London or Camden with the other companions or eat an ice cream in the beautiful coloured houses overlooking the sea in Whishtable, I certainly have spent good moments in the cozy atmosphere of Parkwood , where we lived the students on the campus of the university. I encourage those who are thinking of taking a course to form either in business or any other course to live this experience that will be very beneficial for them and help them to develop and meet new people from all over the world who will become big Ami Gos. The only downside to the course is that time passes too fast.